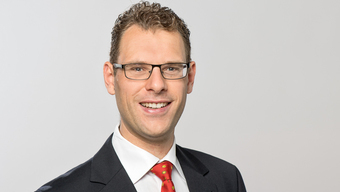 Menno Poot joins TUM’s Physics Department as professor for Quantum Technologies. He experimentally studies quantum effects in nanoscale systems and investigates how these can be utilized for quantum technology. The focus is on extremely sensitive optomechanical techniques to measure mechanical systems that are close to their quantum ground state. Another research topic are photonic circuits where quantum information is encoded in the path that single photons take. Advanced nano-fabrication techniques are used to design, create, and measure chips with quantum functionality. Quantum mechanics was first explored in the beginning of the twentieth century. Since then many interesting phenomena have been studied, ranging from the spectra of atoms, electronic properties of solid-state materials, to intrinsically secure communication and quantum computing. The mechanics part of quantum mechanics is, however, largely underrepresented in this research. Menno Poot wants to put the mechanics back into quantum mechanics. He will create tiny movable structures, i.e. mechanical resonators, and then cool these down to very low temperature so that they are in their ground state. Then the mechanical resonators become quantum objects. Fundamental questions will be addressed about the transition from the classical to the quantum world. It is clear that small systems such as atoms are governed by quantum mechanics, but the macroscopic objects all around us are certainly not. Is “decoherence” the final answer here, or does the mass of the resonator play a crucial role? Mechanical resonators can shine a light onto these intriguing questions. There are many different approaches to quantum information, another research field of the group. For example, impressive progress has been made towards quantum computing with superconducting circuits. Also, teleportation of optical photons over large distances has been achieved very recently. In one vision, people would create complex quantum states in a local quantum device and then transmit these to a different location. Superconducting qubits are good at the first task, whereas optical photons are ideal for long-distance communication. Unfortunately, these two systems do not interact directly and an interface is required. Mechanical resonators can be coupled to almost anything, including the aforementioned systems. With the right design, a seamless interface between local and “flying” qubits seems feasible. The devices that Poot has made so far were designed for fundamental optomechanical experiments. Yet, he discovered that they are very useful as optical phase shifters. This approach reflects Menno Poot’s interest in both science and technology. Using these devices as phase shifters is an essential part of his second research topic: integrated quantum optics. A large variety of experiments have been carried out around the world in this dynamic research field. 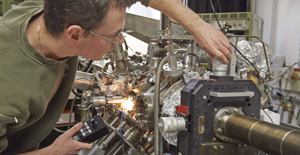 At the moment quantum optics experiments still require large amounts of optical elements like macroscopic lenses, beam splitters and mirrors, set up on large and expensive optical tables. Menno Poot plans to use his expertise in integrated photonics to realize such experimental setups on semiconductor chips. He already makes chips where quantum light, i.e. single photons are generated, routed, and detected. His chips contain superconducting single-photon detectors and additional flexibility comes from the optomechanical phase shifters. One arrives at programmable chips that allow the initialization of arbitrary qubit states and in-situ tomography of the output. Apart from the intrinsic stability of the “quantum systems on a chip” this integrated approach makes quantum optics experiments scalable – at least in the sense of space requirements, compared to conventional setups on optical tables. He is very keen on exploring future collaborations within and outside of the Physics Department. Menno Poot was born in 1982. He studied Applied Physics at TU Delft in The Netherlands, where his Masters’ thesis was on electrical transport through single molecules. 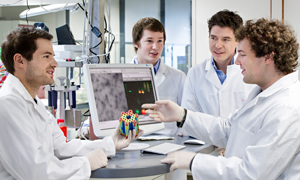 After that he stayed at TU Delft for his PhD project within the Kavli Institute of Nanoscience. Here he worked under supervision of professor Herre van der Zant on a variety of nano-electromechanical systems, including graphene drums and carbon-nanotube resonators. With a Rubicon fellowship from the Netherlands Organisation for Scientific Research (NWO) Menno Poot did a postdoc with professor Hong Tang in the department of Electrical Engineering of Yale University, USA, where he studied on-chip optomechanics and integrated quantum optics. 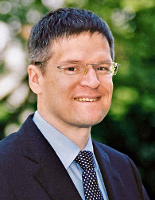 In May 2017, Menno Poot was appointed Rudolf Mößbauer professor at the Physics Department of TUM where he continues his research in the field of Quantum Technologies.